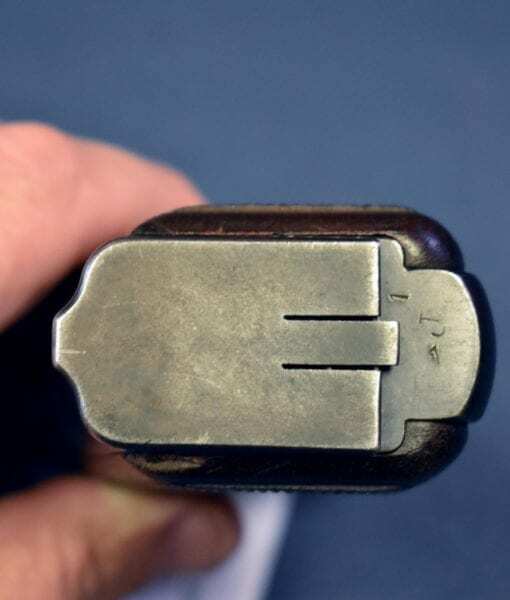 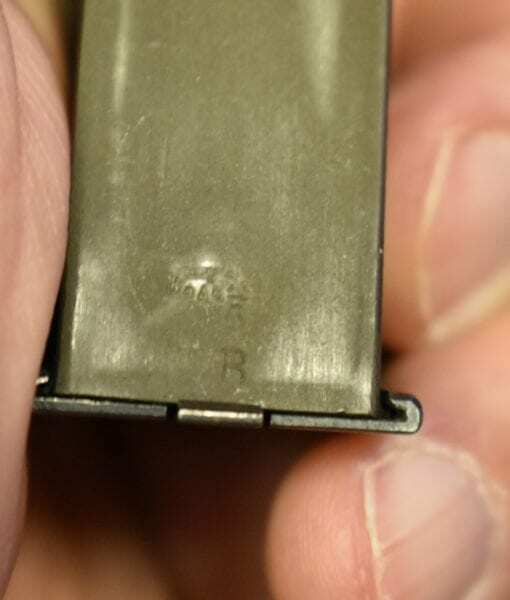 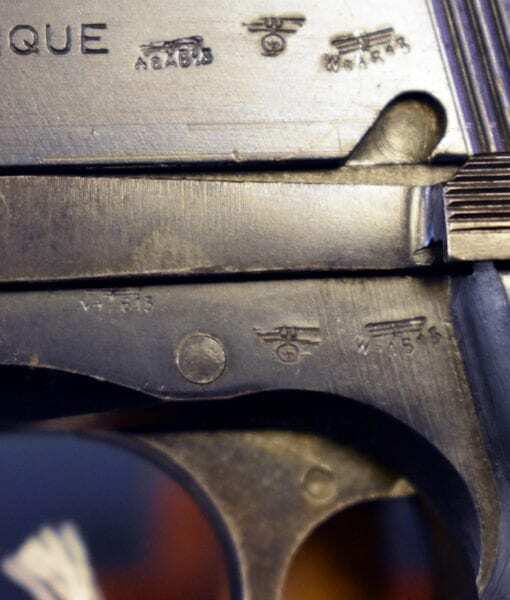 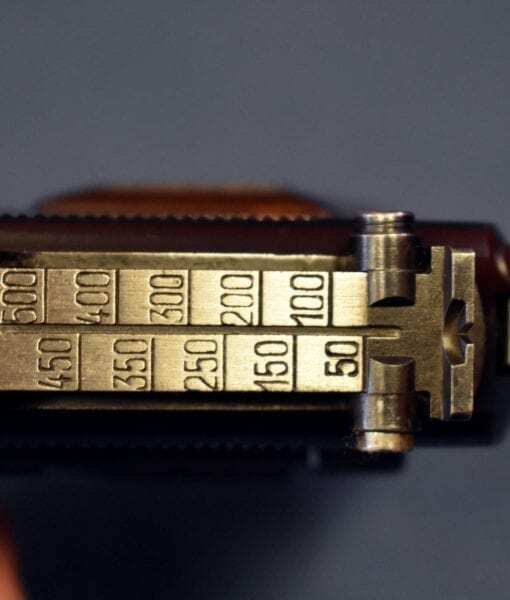 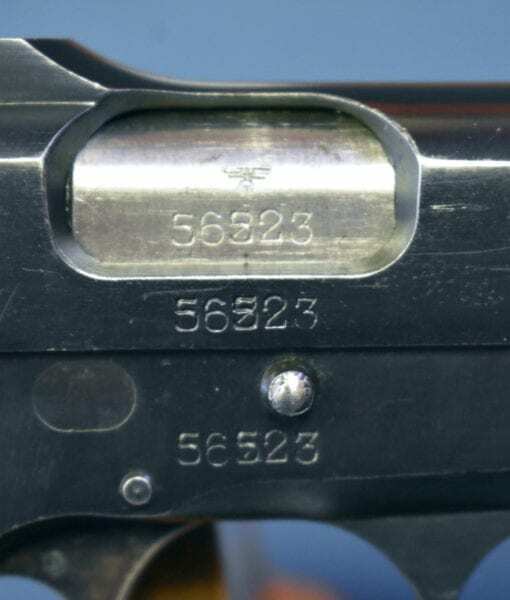 NAZI FN TANGENT SIGHT HI POWER VERY EARLY WaA613 PROOFED……CORRECT MAG….SHARP! 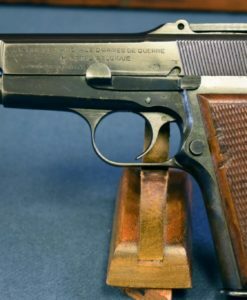 In 97% very sharp condition, we have an extremely attractive example of a late 1940 production WaA613 Waffenamted FN High Power pistol manufactured under Nazi occupation of the FN Factory in Herstal Belgium. 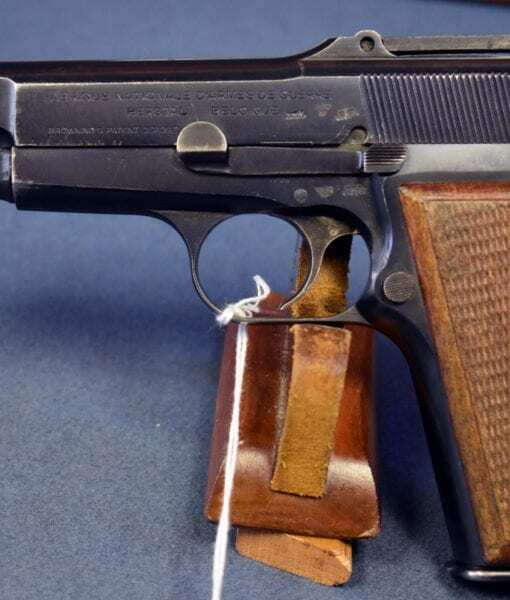 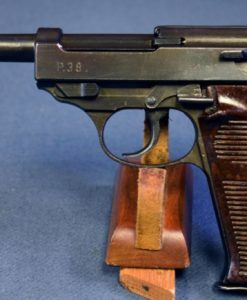 This pistol bears the early WaA613 Waffenamt which makes it a highly desirable variant. 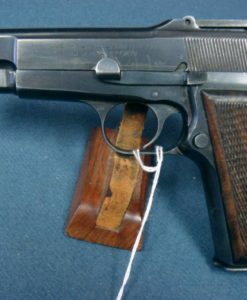 The pistol is all matching and has a mint bore and a very rare WaA613 marked mag. 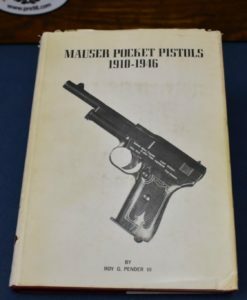 These pistols were made largely out of parts on hand at the factory at the time of it’s capture and these tangent sighted variants are very scarce and are highly sought after by collectors. 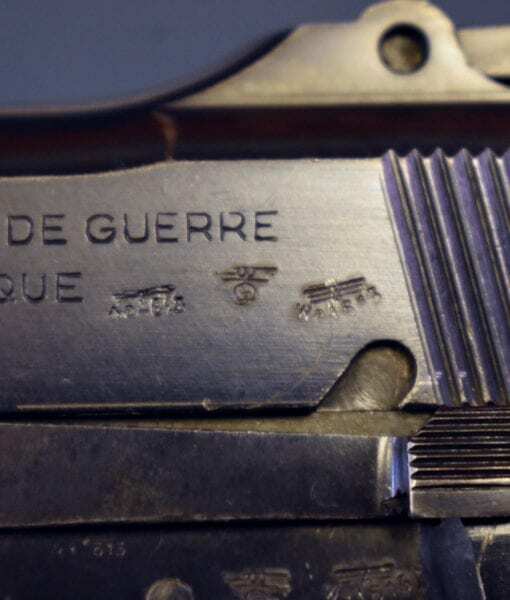 This is a top collector grade example and would fit in any serious collection. 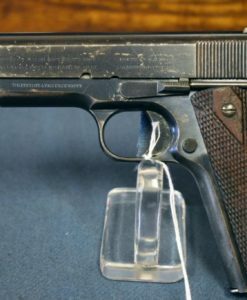 The FN HI Power was widely issued to the SS and there are many photographs of it being used by them in action. 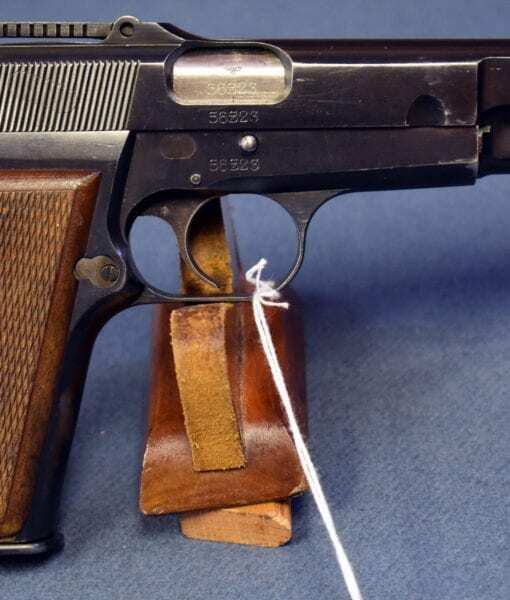 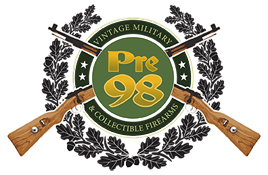 Due to the flawless function and the high capacity 13 round mag magazine this was one of the most sought after and highly prized weapons by the combat soldiers of both sides.